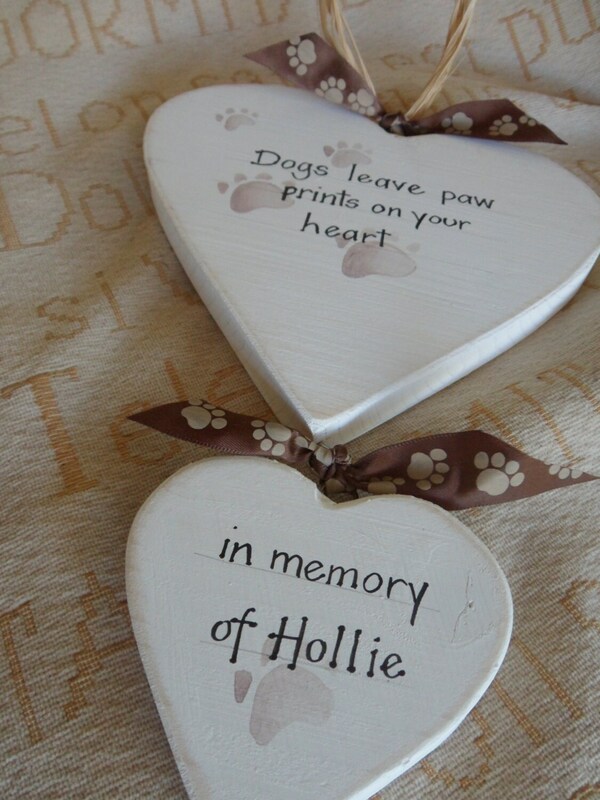 Our wooden hearts come in various sizes and shapes. 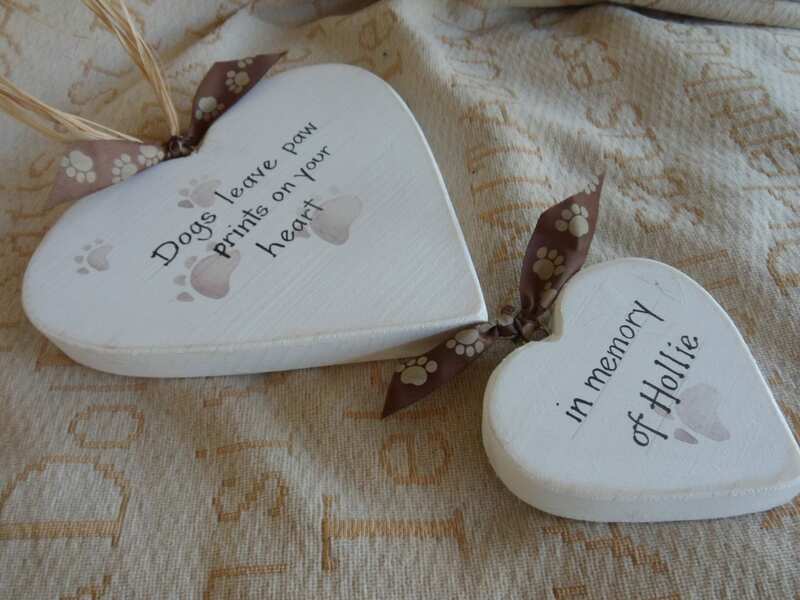 Made in a shabby chic style each plaque is handmade and hand painted.The top heart measures 17cm x 17cm and has dogs leave paw prints on our hearts with little paw prints hand painted in the background.The bottom heart is personalised with your pets name. 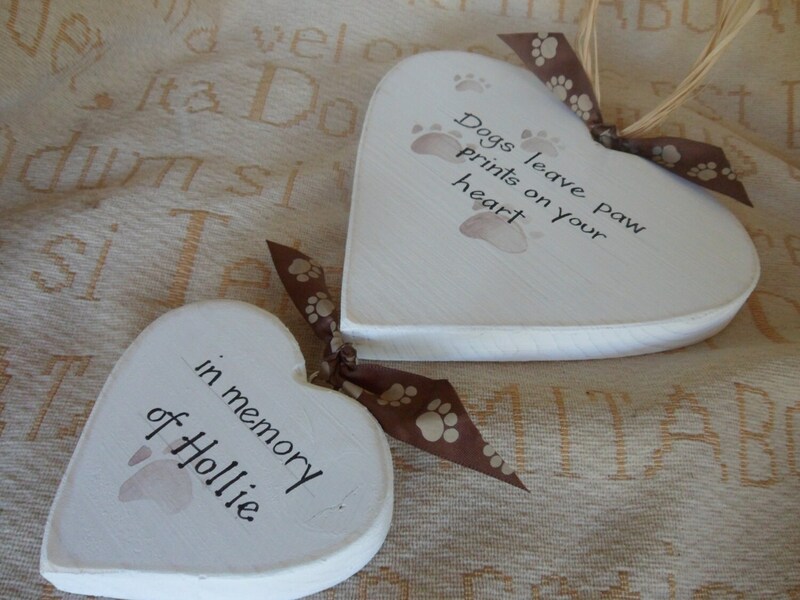 Each plaque can be customised and adapted to suit you, just send us a message. Ribbon and raffia may differ due to stock and availability.